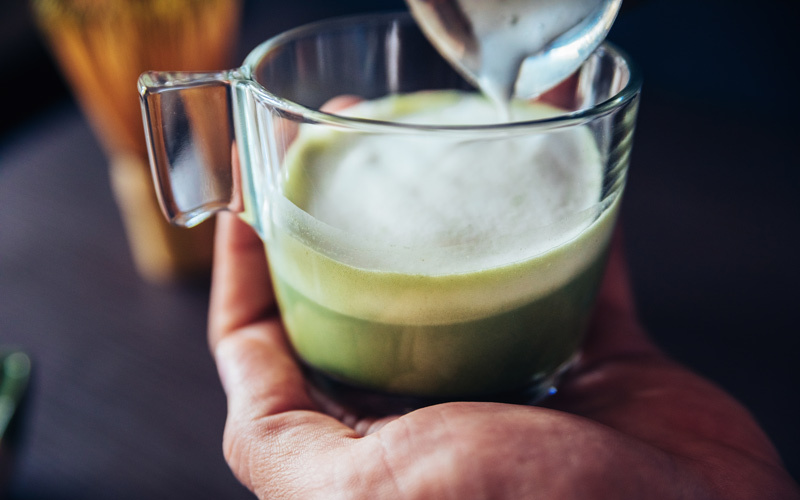 Here's Where to Find Great Matcha Drinks and Desserts in L.A.
Home Uncategorized Here’s Where to Find Great Matcha Drinks and Desserts in L.A. This New York import offers a slew of iced and hot bevvies mixed with matcha. Our favorite is the subtly sweet Golden version that also stars turmeric, ginger, and black pepper. three layers of flaky pastry. Try the matcha buns, cakes, and ice cream, too. In a Silver Lake strip mall, fluffy vegan doughnuts come topped with funky seasonal glazes, including a shiny emerald drizzle made with organic matcha.